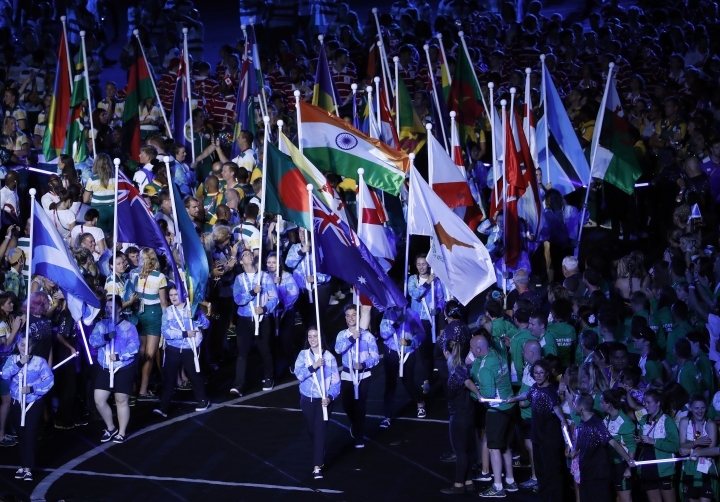 GOLD COAST, Australia — One of the most dramatic scenes at the Commonwealth Games came early on the final day. 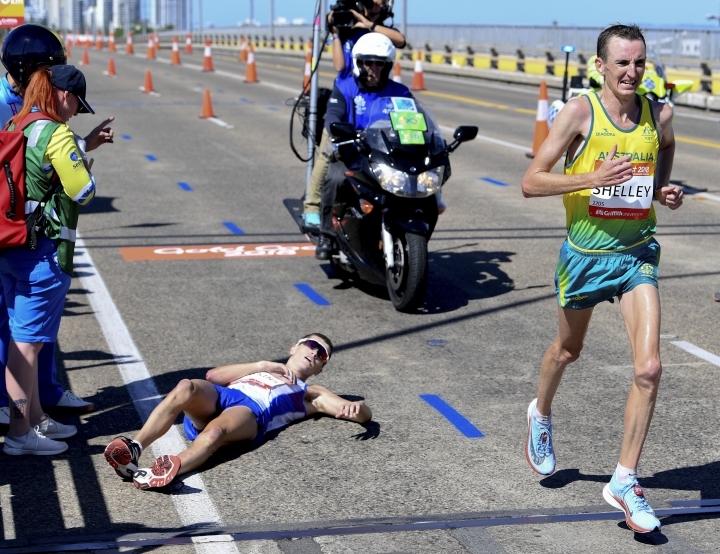 Callum Hawkins of Scotland was leading the marathon Sunday morning when he became physically distressed and collapsed with about two kilometers remaining. 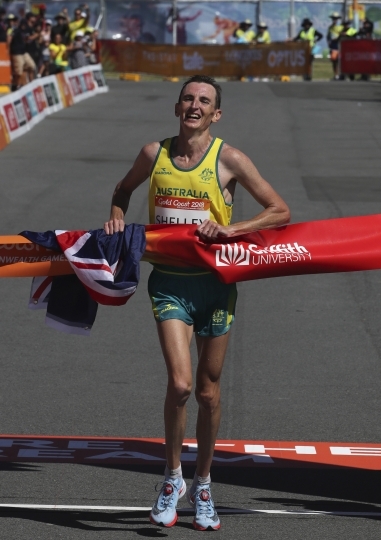 Michael Shelley ran past to win the race and defend the title he won at Glasgow four years ago. 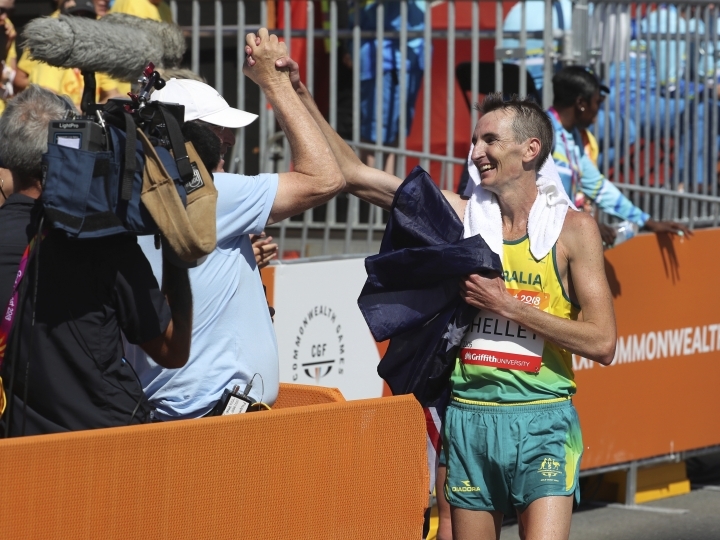 Hawkins, who had about a two-minute lead over Shelley, first became disoriented in the humid conditions at about the 38-kilometer mark of the 42.2-kilometer race, briefly holding himself up next to a race barrier to try to regain his balance. He was able to continue for a while, despite having difficulty running in a straight line, but fell to the road two kilometers later and was receiving medical attention as Shelley raced past him. "I wasn't sure what was going on. I had a couple of mates (in the crowd) who said Callum was in a bit of trouble. They told me to keep going and gave me encouragement," Shelley said. "I just tried to hang on." Hawkins was taken to a nearby hospital by ambulance for testing and Scotland team officials said "there are no major concerns for his welfare at this stage." The team passed along a message from Hawkins while the closing ceremony was underway, saying "Thanks for all your messages of support today and to the Gold Coast University Hospital staff. I am now feeling much better." Television commentators were critical and there was backlash on social media because of the delay getting medical assistance to Hawkins, particularly after a security official tried to move away spectators who were attempting to help the stricken runner. Shelley finished in 2 hours, 16 minutes and 46 seconds. Munyo Solomon Mutai of Uganda took silver with a time of 2:19.02, with Robbie Simpson of Scotland won bronze, 34 seconds behind Mutai. In the women's marathon, Helalia Johannes of Namibia won gold in 2:32.40 with Australians Lisa Weightman and Jess Trengrove taking silver and bronze. Johannes became the first woman from Namibia to win a Commonwealth gold medal. 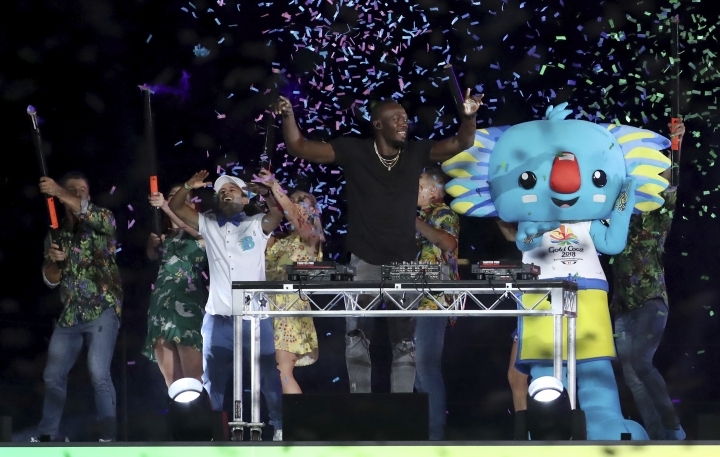 The closing ceremony included a section for Usain Bolt, who was in town to support his old Jamaica teammates and stepped in to do a guest DJ stint. 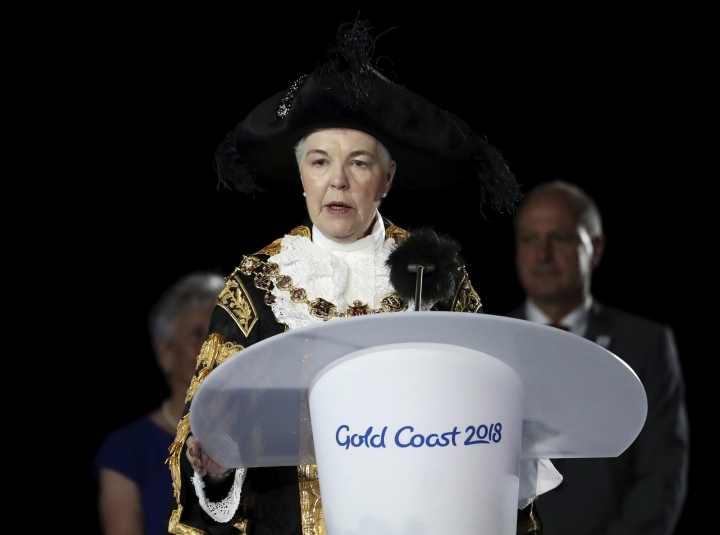 The ceremony included a handover to present the Commonwealth Games Federation flag to Birmingham, England, where the 2022 games will be held. 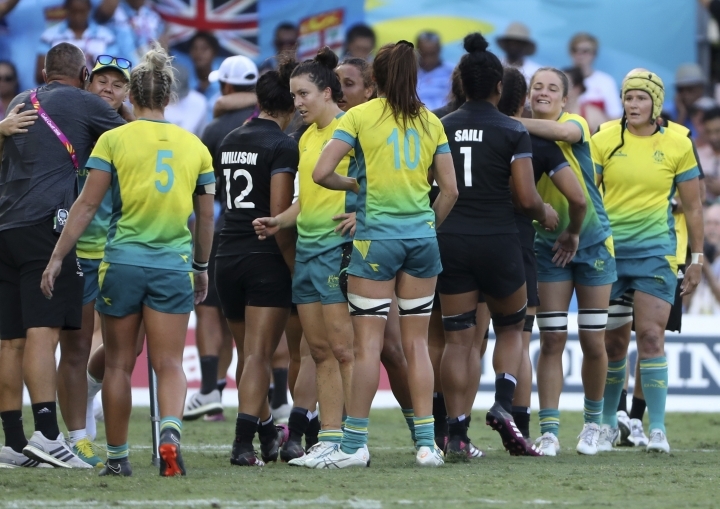 New Zealand beat Olympic champion Australia 17-12 in extra time in the first-ever women's sevens final at the Commonwealth Games. That reversed the Olympics result at Rio de Janeiro when rugby sevens made its first appearance at the Summer Games. 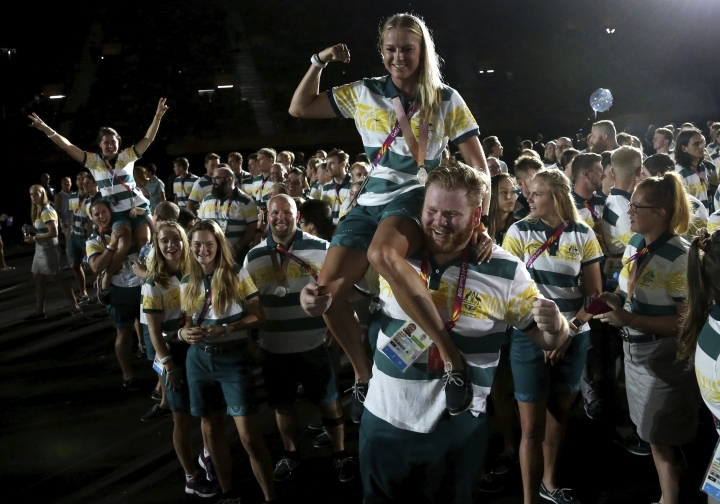 In a packed and raucous stadium at Robina, New Zealand made it two from two in the finals by upsetting Olympic champion Fiji 14-0 for the men's gold. A day after Canada qualified for the men's basketball gold medal final with a last-second three-pointer, Australia made sure there were was no chance for any late heroics with an 87-47 win. 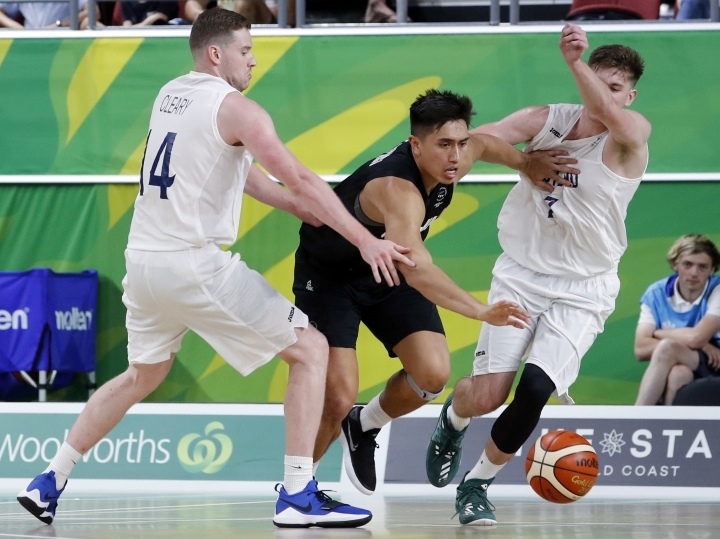 Thomas Abercrombie scored 26 points to lead New Zealand, which lost to Canada in the semifinals, to a 79-69 win over Scotland to take the bronze medal. 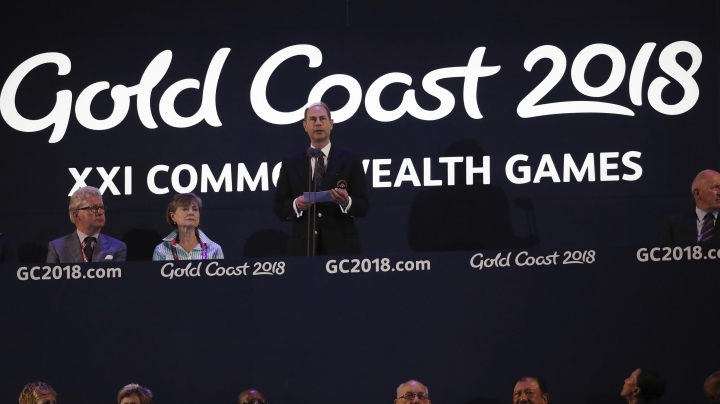 Australia and New Zealand had always played the netball gold medal final at the Commonwealth Games. On Sunday, Australia lost the final, New Zealand failed to win a medal. England caused the biggest of upsets in the final, beating heavily-favored Australia 52-51 with a last-second goal. Earlier, Jamaica beat New Zealand 60-55 in the bronze medal match, meaning the Silver Ferns missed a Commonwealth Games netball medal for the first time. Three-time Olympic silver medalist Lee Chong Wei of Malaysia overcame a first-game loss to win the men's badminton gold, beating India's Srikanth Kidambi 19-21, 21-14, 21-14. 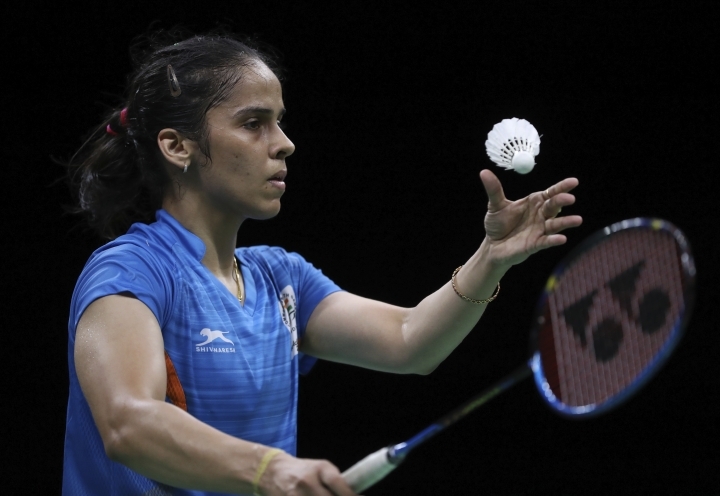 It was an all-Indian final in women's singles, with Saina Nehwal beating Venkata Pusarla 21-18, 23-21 for gold. Nehwal, who also won gold as part of India's mixed team earlier in the tournament, last won the Commonwealth singles title in Delhi in 2010. In the mixed doubles final, the husband-and-wife team of Chris and Gabrielle Adcock beat the fellow England pair of Marcus Ellis and Lauren Smith 21-19, 17-21, 21-16. With all medals decided, Australia overwhelmingly won the medal race, both gold (80) and overall (198). Second-place England had 45 golds, India 26 and Canada and New Zealand 15 each. Australia's gold total was still short of the 84 it won in Melbourne in 2006. Australia led at the athletics competition with 12 gold. The biggest surprise in track and field was that Jamaica, featuring the world's fastest active sprinter and the women's Olympic 100- and 200-meter champion didn't win a gold medal in the sprints. After Yohan Blake anchored Jamaica's 4x100-meter relay team to bronze on Saturday, Bolt took to social media to openly question if he'd retired too early. The Jamaicans won 10 gold medals at the Commonwealth Games in Glasgow four years ago but managed just seven on the Gold Coast. Caster Semenya completed a middle-distance double by winning the 800 and 1,500 in games-record times and her fellow South African Akani Simbine won a coveted 100-meter title. 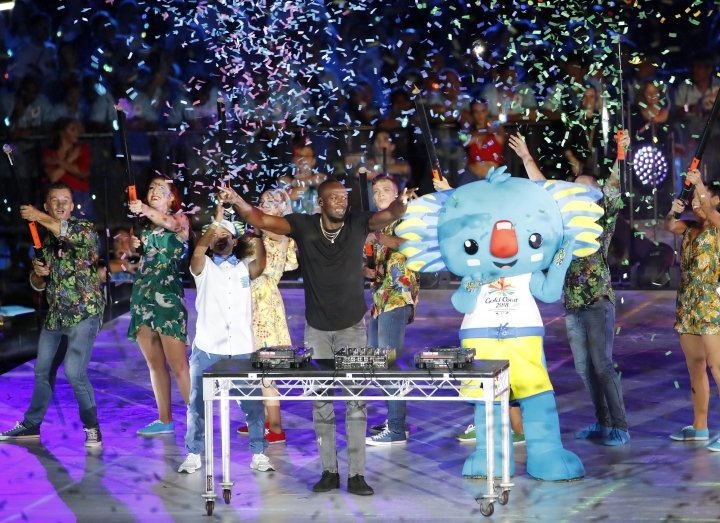 There were no surprises at the Commonwealth Games pool, where Australia again dominated, including on the opening night when its women's 4x100-meter relay team broke a world record. Australia finished with 73 swimming medals — 28 gold, 21 silver and 24 bronze — with Mitch Larkin winning five gold medals. Off the competition fields, there were controversies over the games' non-needles policy involving two Indian athletes. Triple jumper Rakesh Babu and race walker Irfan Kolothum Thodi were banned from the games and ordered to return home to India immediately. Needles were found in the room they shared at the athletes village. 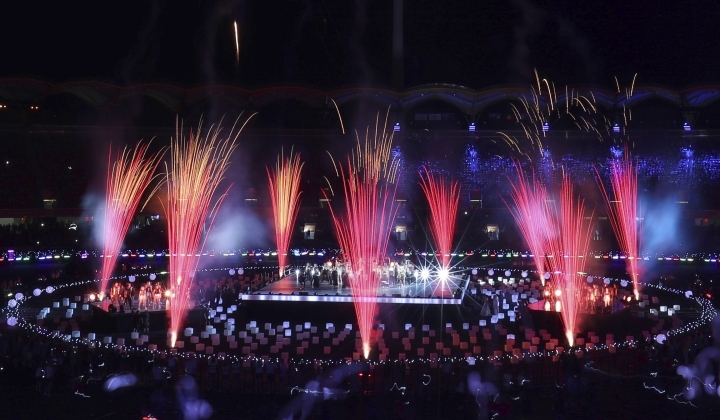 Organizers said about 1.2 million tickets were sold, 96 percent of those available. AP Sports Writer John Pye contributed to this report.